A home made dog food recipe is not difficult to prepare. The primary ingredient in a raw dog food recipe is raw meat. A KitchenAid mixer may come in handy when you make your own dog food. A balance of 75% meat to 25% vegetables. 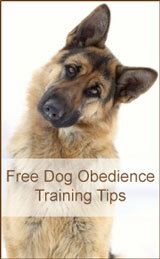 Choose organic choices for an organic raw dog food recipe. And don't forget the organ meats. Onions should NEVER be added. While garlic is fine in moderation, onions can destroy a dog's red blood cells, resulting in a condition called hemolytic anemia. If you plan to freeze the raw dog food, make sure to add purified water. A good vitamin/mineral supplement, digestive enzymes and probiotics will balance the diet. The following will amount to about 1 cup of food, or 1/2 pound. A 50 pound dog will eat about one pound of raw food per day. 75% - 6 ounces (3/4 cup) coarse-ground or chopped meat, raw or cooked. 25% - 2 ounces (1/4 cup) ground, mixed vegetables, raw or cooked. Dogs should also be given raw bones (i.e. chicken or turkey necks, wings, backs). Raw dog bones? You've probably heard that chicken bones are harmful to dogs. They are only a problem after they've been cooked. Since cooking can make them brittle and splinter, always give your dog RAW bones. Do not feed meat without the bone. Along with the meat, grind up chicken necks and wings. Meat and bone keep the calcium to phosphorous ratio balanced. They MUST be fed together, or you can cause growth problems. A raw dog food recipe does take time to prepare. But, if you make a batch and freeze it in individual serving sizes, you can knock it out in a couple of hours once a week. If it increases the quality (and length) of life of your pet, it is absolutely worth it. Too Complicated... or Pressed for Time? You can order an organic mix of human quality, dehydrated raw meat, fruit and vegetables. Holistic dog food with the calcium to phosphorus ratios already balanced.